The proportions of a drawing may be transferred from one scale to another using a proportional divider. 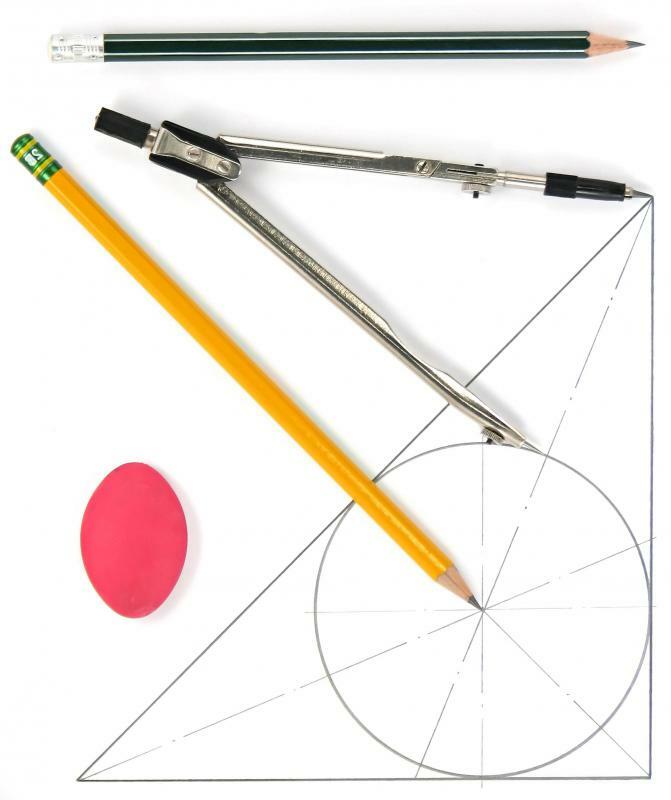 A type of drafting tool, compasses can be used to draw circles and arches of various sizes. A proportional divider is a tool used to transfer the proportions of a drawing from one scale to another. It is a handheld object similar in shape to a drafting compass, consisting of two steel legs with points at each end. The legs pivot at the center around a small nut which can be moved up and down to modify the scale of each side. Proportional dividers are widely used by architects, engineers, and artists in enlarging or minimizing a drawing by scale. It is sometimes necessary to replicate a drawing on a larger or smaller scale than the original. Proportional dividers provide a way to do this precisely. These devices can convert drawings based on ratios ranging from 1 to 1 to as wide as 1 to 10 — 10 times larger or smaller than the original. Drawings are converted line by line in this process. First, the two points of the divider are placed at either end of the line, so that the divider spans the desired line or line segment. The pivot point is then adjusted based on a series of markings along the leg of the divider. Based on the adjustment, the points on the side of the tool pointing upward will represent a fraction or multiple of the paper-based side. For example, if the divider is placed on a line and the pivot is set at 3, the gap between the points at the opposite end of the divider will be exactly one-third the length of the line on the original drawing. This method allows the drafter or artist to create an exact scale replica of the original drawing. The ability to transfer scale is useful in many fields, including art, architecture, and engineering, among others. Proportional dividers are accurate, pocket-sized, and require no special electronics, so they are popular tools in these fields. Artists find proportional dividers especially helpful in transferring very small proportions that may otherwise be difficult to replicate. The tool can also be used for artistic study. Some artists use proportional dividers during the process of painting, to create a larger copy of a small preliminary sketch for further work. In construction and building design, proportional dividers can be used to transfer measurements from a small schematic to a larger blueprint. They can also be helpful in cartography, in cases where the contents of a small map must be enlarged. In navigation, special types of dividers can be used to read distances or convert distances into time of travel.